Peppermint is a plant that used primarily for use in cooking and as a dietary supplement. The herb is used in candy, hot chocolate and other baked goods. As a supplement, peppermint has been used to treat digestive conditions and depression but may cause adverse reactions in some people. Although Medline Plus states that peppermint is likely safe for use, call your doctor if you notice unpleasant symptoms develop after eating peppermint or taking it in supplement form. Peppermint allergy signs and symptoms will be similar to food allergy symptoms. Drugs.com states that peppermint oil can cause allergic reactions that cause the skin to flush, headaches and contact dermatitis. Depending on the type of allergic reaction you have to peppermint, your symptoms may vary and can differ in levels of severity. An allergic reaction to peppermint is caused by the immune system overreacting to the substance. If your body doesn't identify the peppermint as a safe substance, it will defend itself by creating specific antibodies that trigger other chemicals in the body. The chemical reaction is what causes most signs and symptoms. If you take peppermint orally, your symptoms can affect your skin, lungs, sinuses and digestive system. 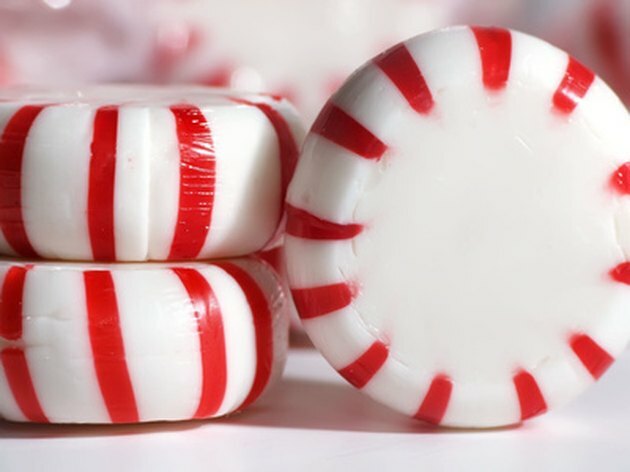 An allergic reaction to peppermint can cause your skin to become irritated, inflamed and swollen. Your lungs can swell from inflammation, causing shortness of breath, wheezing, coughing, chest pain and difficulty breathing. If your sinus cavity swells, you can develop a sinus headache, facial pressure, runny nose, congestion and postnasal drip. Nausea, diarrhea, vomiting and stomach cramping are all signs of an allergic reaction after eating peppermint. Contact dermatitis is an allergic skin reaction that is triggered whenever your skin comes into direct contact with peppermint oil, the actual plant or any other form of peppermint. Contact dermatitis causes the skin to become red, inflamed and swollen in the area that was exposed to the substance. This skin rash is treated by washing the area and applying a steroid-based cream, such as hydrocortisone. An allergic reaction can cause extreme symptoms if you develop anaphylaxis. Anaphylaxis is an extreme allergic reaction that causes the immune system to affect the entire body. Anaphylaxis signs and symptoms include fainting, pale skin, swelling in your lips, face or tongue, an increased heart rate, a sudden drop in blood pressure and dizziness. Call 911 if these symptoms develop.